apply for a position at our Business or you make supplies to us. comply with the law or to use your information as permitted under the law; and 1for purposes that are related to the above. 2.4 We will collect your personal information using only fair and lawful means. 2.5 We do not store credit card details as we use payment gateways and/or a third party processor. 2.6 If we receive unsolicited personal information, we may destroy it or ensure that it is de-identified if it is lawful and reasonable to do so. 3.1 We may, from time to time, use 'cookies' which are small data files placed on your computer or device to store information. flash cookies to personalise your experience using Adobe Flash ©. identifying whether you are logged in to the Website. 3.4 Please note that although cookies do not generally store personal information, they may contain your IP address. However, you are effectively anonymous to us because the data are collected in aggregate. 4.1 All credit card transactions are implemented under industry standard Secure Sockets Layer (SSL) protocol with 128-bit encryption. we do not have access to your credit card numbers. 4.3 We use a database management system to store most of the personal information and it contains security features, such as encryption, firewall and anti-virus, to ensure the protection and integrity of our data. use our online forums that do not require membership. are required to provide personal information under the law. 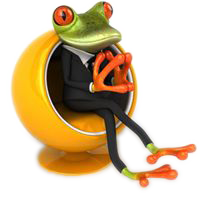 6.1 We disclose your personal information only for purposes that are reasonably related to our Business. 6.2 We will not disclose your personal information to third parties for payment, profit or advantage. 6.5 We do not host any of our services or software overseas. We are not aware of any data or information we store in any country other than Australia. 7.1 We will not send you unsolicited commercial electronic messages in contravention of the Spam Act 2003 (Cth). provide you a simple method to opt-out. 7.3 We will not contact you to promote or market our Business if you request us not to. within a reasonable period of time, comply with your request. 8.2 We may refuse to allow you to access your personal information if we are not required to do so under the Australian Privacy Principles. 8.3 You may request to correct your personal information that we hold and we will update your personal information so that it is up-to-date, accurate, complete, relevant and not misleading. 8.4 Members of our Website may change their details online. 8.5 If you would like to access or correct your personal information, please contact us using any of the contact details available from our website. we have not responded to you within a reasonable time. Australian Privacy Principles means the principles under the Schedule 1 of the Privacy Act 1988 (Cth). Business means Gold Coast Business Hub. sensitive informationmeans sensitive information as defined under Privacy Act 1988 (Cth). personal informationmeans personal information as defined under Privacy Act 1988(Cth). You (whether in capitals or not) means the user of our Website and Your and Yours have corresponding meanings. We (whether in capitals or not) means Maylake Pty Ltd ACN 079 515 923 and Us and Ours have corresponding meanings. 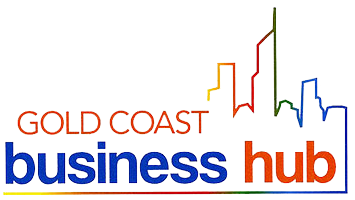 Website means Gold Coast Business Hub websites site at goldcoastbusinesshub.com.au and gcbh.com.au and their sub-domains.